Vesda by Xtralis is a global organization committed to providing intelligent and sophisticated products and services that significantly enhance the safety and security of its customers. Advanced smoke detection, security technologies and superior voice alarm products and services position Xtralis as a leading supplier of innovative solutions for global industry application. With more than 25 years of experience and 110+ innovations in their technology portfolio, they lead the market in fire/gas detection, access control, intrusion detection, video surveillance and traffic management. Their powerful, early warning threat detection solutions deliver unparalleled protection and situational awareness for their global, blue chip customers. Xtralis is the inventor and pioneer of aspirating smoke detection (ASD) technology, and Xtralis VESDA is the No. 1 ASD solution in the world. 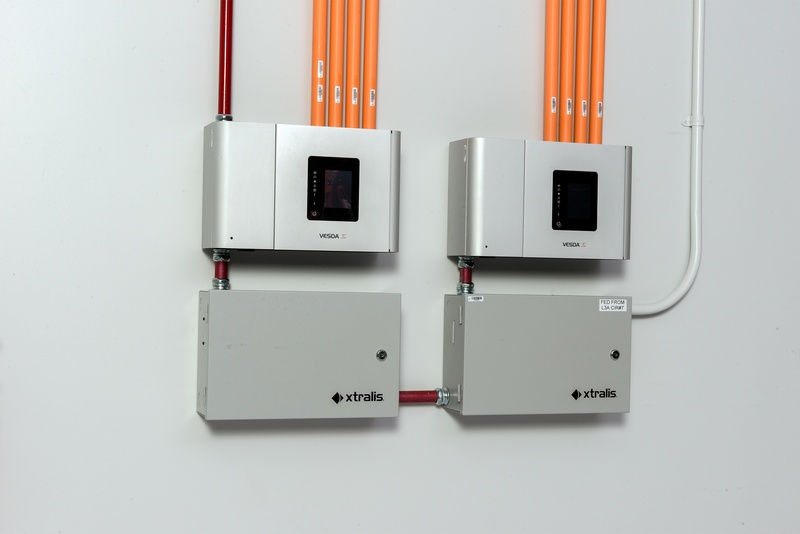 The Xtralis ASD range delivers very early detection of smoke, fire, gas and hazardous materials and operates reliably where traditional smoke detection fails. VESDA® Air Sampling Smoke Detection Systems are recognized as the global market leader and provide very early warning smoke detection solutions all around the world. VESDA detectors have been proven for decades in industries such as telecommunications, power generation, warehousing, clean rooms and manufacturing/storage services. VESDA products are backed by an extensive, highly experienced and dedicated support network. Xtralis continues to deliver highly reliable, proactive smoke detection technologies to a diverse range of global businesses.